We have some amazing vendors lined up and ready to be a part of the Bridal Show. Know a vendor that would like to join us? 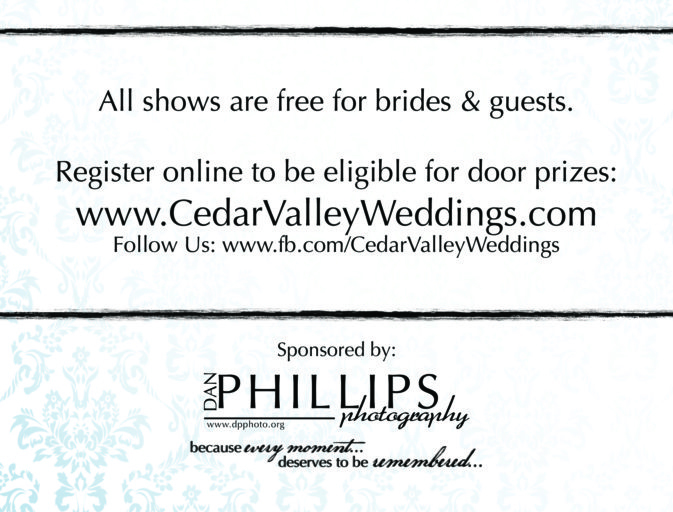 Have them contact us at: dan@dpphoto.org or info@cedarvalleyweddings.com for pricing and information.